The projects below are representative of the City of Council Bluffs' essential and ongoing investment in maintaining the levee system. The project improved the drainage structure outfall, removed deteriorated pipes, rehabilitated portions of existing pipes, and rebuilt pipe headwalls and closures. 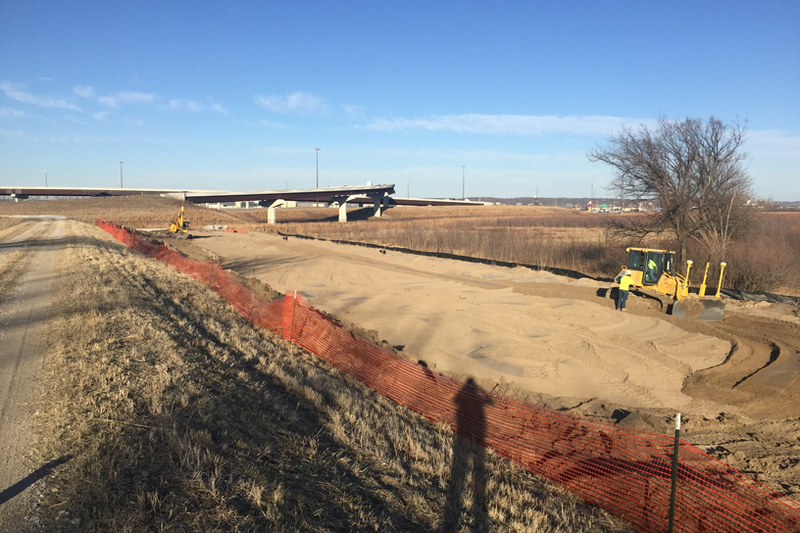 The project removed an aged floodwall and replaced with earthen levee embankment. The project also removed old water infrastructure that was encroaching the levee system. The project modified the existing relief well system by retrofitting the system with a buried discharge pipe system to collect flow from the relief wells. A groundwater sump was constructed to collect and allow for pumping of flow collected from the relief wells. The project properly abandoned an out of service pump station and out of service gas line.